This is my review of Puffy 3-tone brown, sponsored by Apple of Your Eyes. 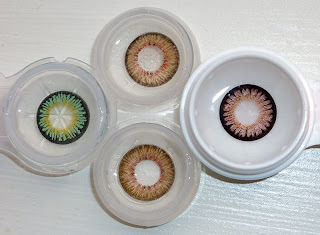 These lenses are very unique and exotic, and I love them to bits and will definitely get the other colors! 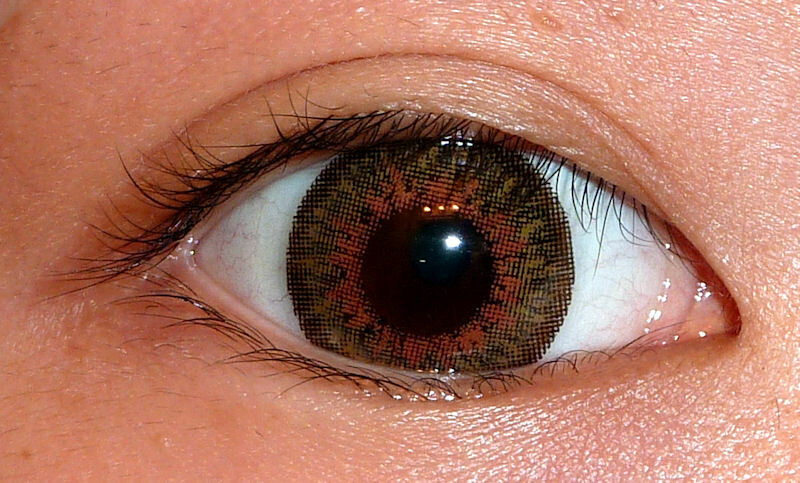 The lenses are printed in a pattern that mimics real irises, and consists of three colors: Dark brown thin outer ring, main olive-brown ring, and an inner auburn ring. 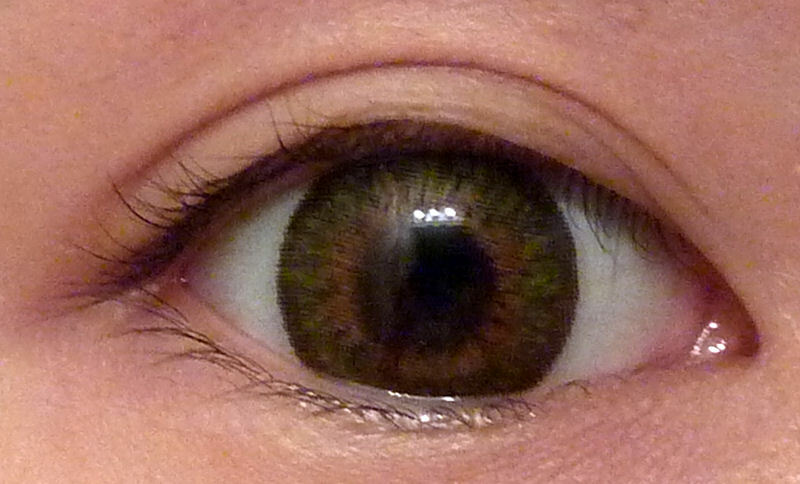 They look a bit green in some light, and kind of reminds me of the eyes of some animals like lemurs and lizards. These lenses definitely enlarges well, but since there is no harsh black outer ring, they are not very in-your-face. 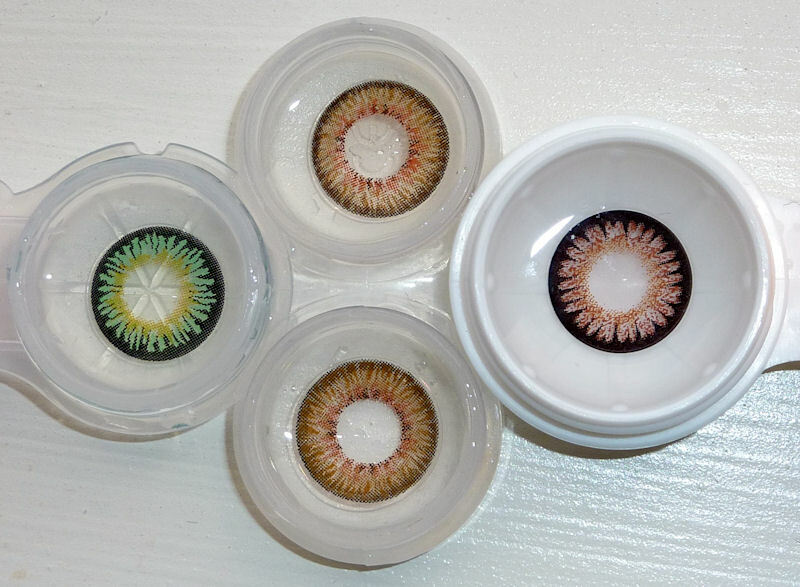 I have two pairs of lenses that have similar exotic design with different inner-ring color, so I figure they would be pretty good comparison with the Puffy Browns. First up are my Geo Princess Mimi/Bambi Browns, which has a dark spiky outer black ring compared to the Puffy Browns. They are also clearly red-brown, while the Puffy are more olive. The EOS Misty Greens are a bit smaller than the Puffy Brown, but they also have that vaguely lizardlike design. Here are all the lenses featured in this review. Clockwise from the top: Puffy Browns right side up, Princess Mimi Brown, Puffy Brown upside down, Misty Green. Design: 10/10 - They are so unique and cool looking! Comfort: 8/10 - I feel that they are a bit thick as I clean them, but they feel OK on my eyes. TOTAL: 9/10 - I liked these lenses when I first saw them in ads, and in person they are even lovelier! 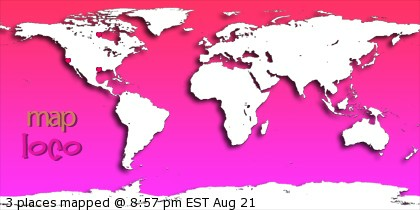 Thank you Apple Of Your Eyes for the sponsorship! 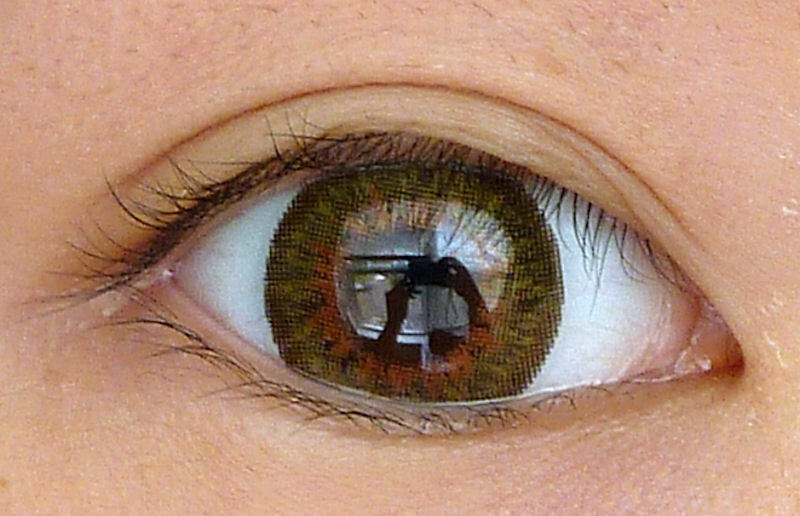 I have these in grey...and I tell you its the best grey lens i've found to date.